Pennsylvanians with old, low-level offenses on their records have fresh hope that past mistakes won’t cost them new jobs or housing. As of Dec. 26, the state’s new Clean Slate Law allows people to petition to seal legal records in many misdemeanor cases that are more than 10 years old. “Non-violent first-degree misdemeanors and most simple assault convictions became eligible for sealing, if the individual has not been convicted for 10 years and if no fines and costs are owed,” Sharon Dietrich, legislation director for Community Legal Services, explained in a press release. A second phase of the law will kick in on June 28, when courts will begin automatically sealing records in eligible cases. Here are answers to some key questions about the new law and how it works. How is a criminal record sealed? An ex-offender starts by completing a Petition for Order for Limited Access, a one-page form at the Self-Help Center at the county courthouse and online at www.pacourts.us/forms. It asks for such information as the charges and the judge who imposed sentence. If the offense happened in Lancaster County, the completed petition should be taken to the Clerk of Courts at the Lancaster County courthouse. There’s a $137 fee, but the indigent may seek a waiver. Clerk of Courts Jacquelyn Pfursich said her office sends the petition to the judge who imposed sentencing and to the District Attorney’s Office. The district attorney has 30 days to challenge the petition, leading to a hearing before the judge. But if the district attorney doesn’t object, no hearing is needed. District Attorney Craig Stedman said he expects that filing an objection would be rare, happening, perhaps, if facts on a petition were misrepresented. Stedman called Clean Slate an overdue, crime-prevention measure because it promotes employment. For those who need it, free legal help is available through “My Clean Slate,” a program created by Community Legal Services in partnership with the Pennsylvania Bar Association. 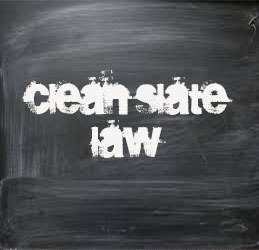 Volunteer attorneys will help to determine if someone is eligible for the provisions of the Clean Slate legislation, which went into effect on Dec. 26. What happens after the judge grants the petition? The office also notifies the police department, the magisterial district judge, Lancaster County Prison and other agencies that they are prohibited from sharing the records. How does automatic sealing work? The new law creates an automated process to seal any arrest that didn’t result in a conviction, summary convictions after 10 years, and some misdemeanor convictions for those who've been law-abiding for 10 years. For those cases, no petition needs to be filed starting June 28. Instead, the Administrative Office of Pennsylvania Courts will pull eligible records from its database of all criminal records and submit them to the Pennsylvania State Police to check for possible conflicts. The ex-offender will get a letter saying the old record will no longer show up on background checks. The state will remove eligible docket sheets from its online listing of criminal cases, but not the listing of fines and costs. The state office will also notify the Clerk of Courts which of its records must be sealed. Pfursich said she doesn’t know how many local cases could end up sealed. In 2018, a record 7,522 criminal cases were filed locally. Are people taking advantage of the new law already? About 700 people statewide petitioned to have their records sealed in the first week after the law took effect, Gov. Tom Wolf said at a news conference Wednesday. But it's too early to predict the law's impact here, officials said. In Lancaster County, there wasn’t immediately a noticeable increase in the number of petitions for offenses that fit within the margins of the Clean Slate Law, according to Steve Gumm, the executive director of the Lancaster Bar Association. But the bar association is “very happy with the law's passage” and sees it as the right step for those whose old, non-violent offenses have created barriers for their lives. Attorney Mark F. Walmer, who routinely handles cases for sealing, expunging or pardoning past offenses, said he believes the big change will be the phase of automated sealing, when petitions will no longer be needed for eligible offenses. “The sealing statute will be good for people who have one or two very old misdemeanor offenses," he said. Walmer noted that the responsibility for verifying that a record has been automatically sealed will fall on individuals. Under the law, only “non-controversial” offenses are automatically sealed; other cases — those that include multiple charges or have unpaid fees, for example — make it through the automated system. How big a difference will it make? Tara Loew leads Lancaster CareerLink’s Re-Entry Services, which works with job-seekers who have criminal backgrounds. That program serves about 600 people a year, she said, and overall, about a quarter of the people Lancaster CareerLink works with report some kind of criminal record. Loew expects the new law to have a big impact on job-seekers. In addition to giving individuals that deserve it a second chance, she said, the law breaks down barriers to finding full-time life-sustaining employment — helping families thrive and contributing to the local economy and community safety, as someone gainfully employed is much less likely to reoffend. Loew also said CareerLink has recently held two free criminal record legal clinics for job-seekers, with MidPenn Legal Services, Lancaster Bar Association, Rep. Mike Sturla and the law firm Bentley, Gibson, Kopecki Smith P.C. Attendees got a chance to have an attorney look over their records and see what their options might be, she said, and when possible were offered free continuing legal help. The clinics were a hit, Loew said, and CareerLink now plans to offer them quarterly, capped at 30 attendees. Can an employer ask about sealed records? Attorney Jennifer Craighead Carey, chair of the Barley Snyder Employment Practice Group, said in an email that Clean Slate prohibits employers from requesting criminal history records that have been sealed and they may not rely on such information in making an employment decision. How do employers feel about Clean Slate? Tom Baldrige, president and CEO of the Lancaster Chamber, said it hasn’t heard much from employers about the new law, but he believes they’re generally supportive of it. Harold G. Ford III of NetAtWork is president of Lancaster Society for Human Resource Management. Does it increase housing accessibility? Ninety percent of the landlords that Tabor Community Services works with through its Community Housing Solutions program — an initiative of the Lancaster County Coalition to End Homelessness — have background checks as part of their screening process, according to organization president Michael F. McKenna and program manager Laura Willmer. Although not the only criteria landlords are applying when screening tenants, past criminal offenses can create an additional barrier to affordable housing, McKenna said. Tabor does not track the criminal records of those within their programs, but a significant number of those who have disclosed their background would fall under the Clean Slate law's parameters, Willmer and McKenna said. “Some landlords will do a full background check and look for absolutely everything and others do not do one at all,” said Ann Linkey division manager at Tabor. Usually, the criminal screenings are to find “violent and drug-related" offenses, Linkey said. The types of offenses that landlords and property managers find disqualifying vary. “Some will look at a DUI and let it go if it was just that, others would say no,” she said. Although her team does not track how many housing applications were rejected due to criminal background checks and what those offenses were, it does happen, Linkey said. “It's a good thing for our clients who have those kinds of backgrounds," Linkey said of Clean Slate. “It will complement the federal Fair Housing Act," Ray D'Agostino, chief executive officer at the Lancaster Housing Opportunity Partnership, said of the new law. In most cases, real estate decisions based solely on criminal records are already prohibited, he said. There is no city in the nation that’s growing faster than the population of 70 million Americans with criminal records. As one of them, former real estate developer R.L. Pelshaw is determined to turn this costly societal burden into an opportunity. “With criminal records it’s difficult for many ex-offenders to get jobs making a livable wage,” Pelshaw said. “Showing (ex) criminals how to be successful in legal businesses is far better then returning to crime, and will change the destiny of millions of people.” For employers, there exists a real opportunity to disrupt the continuous cycle of quarantining humans. And for the sake of society at large, sustainable employment may not only represent our best opportunity to significantly disrupt recidivism and the growing population of Americans with criminal records, it may be our only option. Consider the costs. Between 1973 and 2009, the nation’s prison population grew by 705 percent. Over the past two decades costs of incarceration have skyrocketed more than 305 percent, according to a 2011 Pew study. States now spend more than $52B out of their budgets (second only to Medicaid), for incarceration. And the economic impact inherent in the process of policing and locking up those who perpetrate crimes in our communities is compounded by the economic impact of high recidivism rates of 84 percent for males, age 24 years and younger. This revolving door is fueled by a pipeline that has grown exponentially over the past several decades to the point where the United States incarcerates more of its population than any nation in the world. America’s employers must take note of what happens to released inmates when they re-enter society, often after years of being quarantined, and with little hope of finding employment that funds a new path to productive citizenship. In 2012, more than 630,000 inmates were released into targeted communities across America. According to the latest study by the Bureau of Justice, three of every four released prisoners were re-arrested within the five-year life of the study. An extraordinarily high percentage (89 percent) of ex-felons re-arrested were unemployed. Pelshaw is determined to change that. 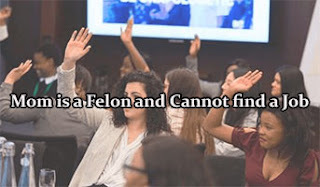 He launched and self-funded a campaign called, The National Hire Ex-Felons Campaign, designed to inform employers of the benefits of tapping into this 70-million-strong workforce. Of course, there are plenty of unemployed people who do not commit crimes. 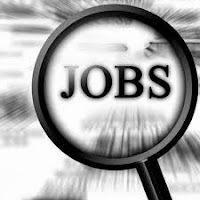 The suggestion is not that employment alone is a panacea for this national problem. But, there is no other immediate option to developing sustainable financial stability for ex-felons. The longer that former inmates remain unemployed following release, the greater the risk they will seek income through alternative means. Their fate impacts the fate of families, communities and ultimately society at large. Employment is one of the tools we have to address this growing problem. Those who pay their debt to society and emerge from prison with a new perspective and lease on life deserve an opportunity to earn a living. They represent a class of prospective employees unlike any other. But, why should employers assume the risk of hiring ex-felons? You may be surprised by these five fact-based, bottom line reasons. Hiring Incentives: Finding good help is a key factor in running a successful business. Too many employers get robbed daily by lazy employees who work with a sense of entitlement, watching the clock, anticipating that moment they can break free of the bonds that trap them in cubicles, offices and warehouses. Many daydream of weekend getaways and play-cations while robotically moving through tasks, diluting the level of worker productivity. Ex-felons are no stranger to hard work. And they are grateful for the opportunity to earn a living. 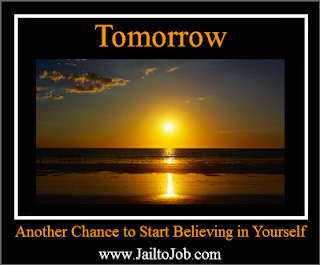 Most believe they have something to prove to their families and employers. But there are additional bottom line incentives to employees who hire former inmates. Substantial tax credits are available for hiring ex-felons, such as the Federal Work Opportunity Tax Credit. Some states even provide partial wage reimbursement, additional tax credits, and other training funds for employers who hire ex-felons. “We’ve had three (subsidies) that amount to several hundreds of thousands of dollars to bear down on training our employees,” said Mike Hannigan, CEO of Give Something Back. “It’s amazing to me how many resources are available to a company.” Employers who hire felons can also be eligible to obtain a free fidelity bond funded by the federal government to protect them against employee dishonesty or theft. More importantly, credible studies clearly indicate that ex-felons out of prison seven years or more have no higher rate of committing a crime than non-felons. A 2009 University of Maryland study found that people with a criminal record are at no greater criminal risk after they’ve been out seven to 10 years than those with no record. Employee Reliability: Few things hurt a business more than high turnover rates. Employers who spend too much time with a focus on hiring employees who won’t leave shortly thereafter find themselves neglecting other areas of the business that require attention. Ex-felons have far fewer options than conventional employees. Due to the scarcity of opportunities for ex-felons, many employers that hire them have lower turnover than with conventional hires. According to the Partnership for Safety and Justice, many ex-felons have a favorable employment and educational history. “In general, formerly incarcerated people are as reliable as other workers,” the report states, citing numerous studies. Hiring Opportunity: The landscape of employable ex-felons is large. Ex-offenders on probation often have to maintain employment as a condition of release. Most parolees are drug-tested by their probation officer or halfway house at no expense to employers. 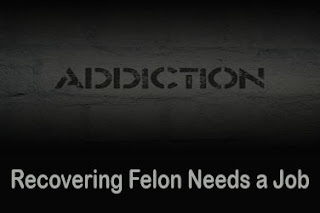 Most parole officers and halfway houses welcome contact with employers of supervised felons. That supervision de-risks the employment opportunity and is an added value at no cost to the employer. An estimated 6.9 million persons were under supervision of adult correctional systems in 2013, according to the Bureau of Justice. This is a significant, largely untapped and motivated work force. A 2008 study by the Urban Institute Justice Policy Center found that fewer than 45 percent of felons were employed eight months after being released. In real numbers that means more than 3.5 million prospective workers are available for hire. Economic Impact: Employers can make a considerable difference in transforming a criminal liability into a community asset. Unemployed ex-felons are at a greater risk of re-offending compared to employed ex-felons. Many ex-felons turn to crime and return to jail (recidivism) because they can’t find a job paying a livable wage. “People who break the law need to be held accountable and pay their debt to society,” said Adam Gelb, director of the Pew Center on the States’ Public Safety Performance Project. “At the same time, the collateral costs of locking up 2.3 million people are piling higher and higher.” According to VERA institute of Justice, the U.S. spends nearly40 billion a year to house inmates. The average cost per state to house one inmate is31,286 per year. But if that one felon gets a job instead of returning to prison, he or she now contributes to the economy by more than $10,000 a year, according to a Baylor University study. Crime Market Disruption: An estimated 70 million U.S. adults have arrest or conviction records based on Bureau of Justice statistics. Tougher sentencing laws, especially for drug offenses, have swelled that total. Society can’t afford to simply banish 70 million people from the workplace. Children of incarcerated adults are the highest at-risk group in America. Many follow in their parents’ footsteps, continuing the cycle of crime and fueling a criminal market pipeline. Children of felons are seven times more likely to be incarcerated themselves. They are more likely (23 percent vs 4 percent) to be expelled or suspended from school than other children. I was just checking out your page with the list of jobs for felons I have been seriously looking having interviews but haven't had any luck I'm a first time felon never been in trouble my whole life made a mistake last yr by cashing a scam check that was sent to me in the mail and at the time I was really in need for money I'm a single mother my child's father is incarcerated. I'm charged in Virginia. My charge is felony false pretense to obtain money. I only got charged because the store owner pressed charges. The District Attorney didn't want to have charges against me because I have a good background. I couldn't pay off the restitution before my final court date and now I am on probation indefinitely because I didn't have to do any time. I have worked for the state of Virginia before in a mental health facility. I also worked as a kitchen supervisor in a prison when I was younger and I have a lot of customer service skills. I haven't had a job since last year. I was working on a military base at a store but they let me go because my charge was pending at the time. My question to you is what jobs or companies are more likely to hire someone with a background like mine? I'm sorry you are having such a hard time finding work. Unfortunately too many people give up future employment opportunities by making bad decisions. Because your convictions falls into the category of theft/ robbery/ larceny, your integrity is in question. My suggestion is to avoid applying for job that have anything to do with working with money or anything of value. That would eliminate most cashier and retail jobs. I have had students in your situations. A few of them are working for telemarketing companies while others are working in supermarkets and factories. hiring process, the better for the company. 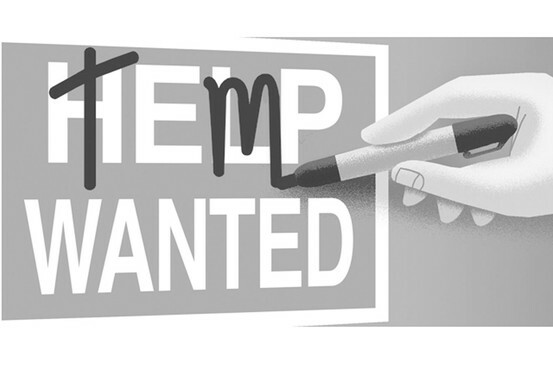 If temp employees prove to be good at what they do and fit in well with the rest of the company, many are hired permanently. Temporary workers can be very attractive to small companies. They can staff their businesses at a lower cost than regular full-time employees with benefits, which is advantageous when they do not have the resources to employ a more permanent staff. There is a twist when looking for temporary jobs. There are two basic types of staffing agencies. First there are the large, nationally know companies. Companies like Adecco, Kelly Services and other big companies have hiring practices that are set at their corporate offices. These practices may prohibit their local offices from hiring people with criminal records. Some of them do, and some of them do not. The other companies are smaller privately owned staffing agencies. Because these smaller agencies are locally owned, they make their own rules regarding who they hire. They can hire whomever they wish. Ex-offenders and felons stand a greater chance of getting hired at these smaller agencies.